Michael and Emily have been married since 2011 and have one daughter: Amelia. They met at Liberty University in Lynchburg, VA and have lived in Dallas, TX and Raleigh, NC. Emily is a work-at-home mother, graphic designer, and disciple-maker. In 2012, Michael began serving as the Minister to Students at Open Door Church in Raleigh, NC. Michael has earned a B. A. in Pastoral Leadership and Biblical Exposition from Liberty University. He has also earned a M.Div. in Advanced Biblical Studies and is currently working to complete his Ph.D. in Biblical Studies from Southeastern Baptist Theological Seminary in Wake Forest, NC. Chris and Amelia have been married since 2011. They have three daughters: Lanie, Lila, and Ellie. Chris and Amelia met while attending Southeastern Baptist Theological Seminary and they currently live in Wake Forest, NC. Amelia is a registered nurse at Wakemed Hospital while also serving her family as a stay at home mom. Chris has earned his B.A. in Biblical Studies and his M.Div. in Christian Studies from Southeastern Baptist Theological Seminary. He served full time at Wake Cross Roads Baptist Church for 5 years and currently works as a Sales Director for a large company based in Raleigh, NC.. The Woods are active members at Open Door Church in Raleigh, NC where Chris and Amy both serve in the college ministry and special needs ministry. 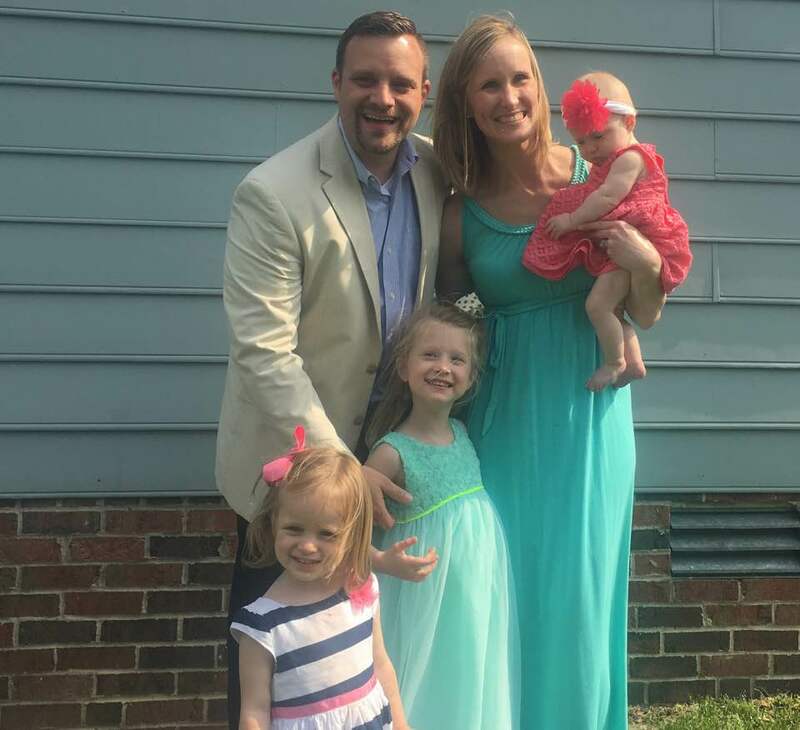 Chris and Amelia have a great passion for the local church and for church planting and are excited to be a part of what the Lord is and will do in Ann Arbor.